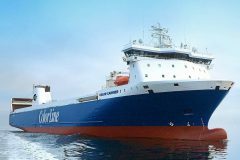 The second of Crowley Maritime Corp.’s new combination container/roll-on roll-off Con-Ro ships, Taíno, one of the first of its kind to be powered by liquefied natural gas (LNG), completed its maiden voyage to Puerto Rico on 11 January. 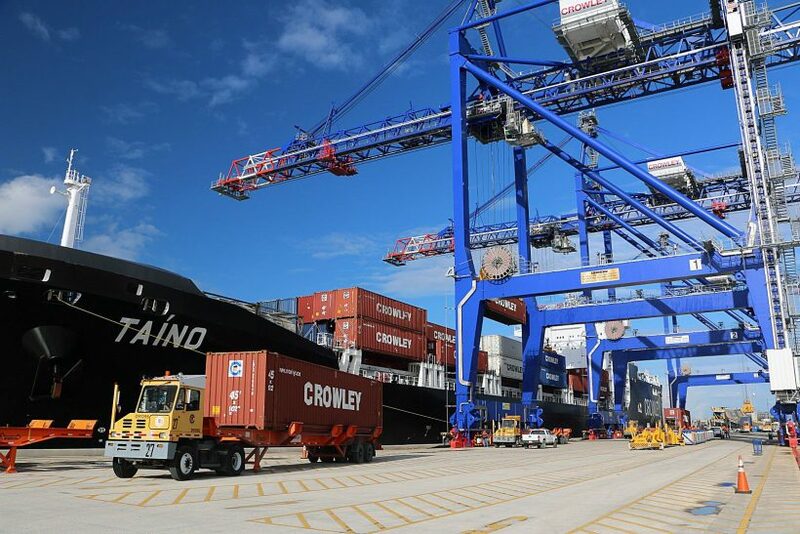 The successful transit puts a historic capstone on the company’s Commitment Class modernization project and begins a new era of world-class supply chain services between the island commonwealth, US mainland and the Caribbean Basin. Taíno, which departed on 8 January from her mainland homeport of Jacksonville, Fla, is the second of two Con-Ro vessels constructed for Crowley. Sister ship El Coquí began her first-in-class service in July 2018. The ships, built specifically for the Puerto Rico trade, are 219.5 meters (720 feet), 26,500dwt, and can transport up to 2,400 twenty-foot-equivalent container units (TEUs) at a cruising speed of more than 22 knots. 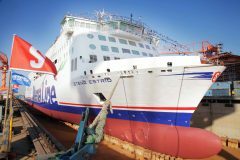 The ships carry a wide range of cargo types and sizes, including: 53-foot by 102-inch-wide, high-capacity containers; up to 300 refrigerated containers; and 400 cars and larger vehicles in the enclosed and ventilated vehicle garages that are unique to the trade. With the addition of Taíno to its fleet, Crowley’s Commitment Class vessels are part of an overall logistics system, which increases supply chain velocity and reduces friction and landed costs for customers shipping through Jacksonville as a gateway to Puerto Rico, the Dominican Republic and the islands of the Caribbean Basin. Both vessels are operated with US crews by Crowley’s global ship management group under Crowley Shipping. The vessels were constructed by VT Halter Marine at its Pascagoula, Miss., shipyard, with construction management provided by Crowley Solutions.